Bagels Bites 9 count box. Photo by Katelyn Avery. 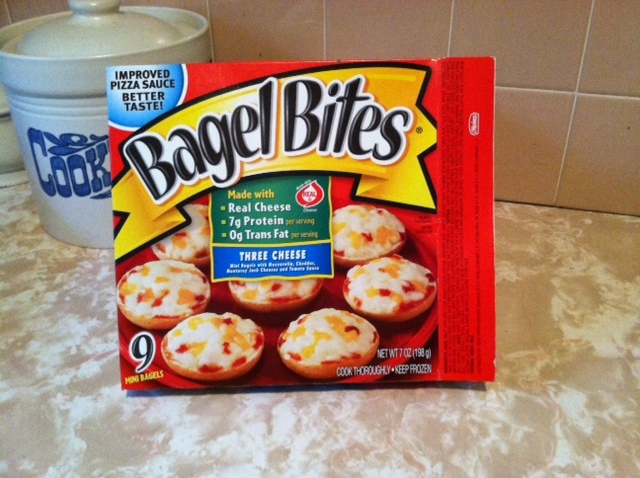 Bagel Bites 9 count box. Photo by Katelyn Avery. Bagel Bites were the go to food of my childhood. The head honcho brand among pizza bagels. Whether it was for breakfast, or a pre soccer game meal, I only wanted one type of food. The freezer had to be stocked with the pizza/breakfast food combo. 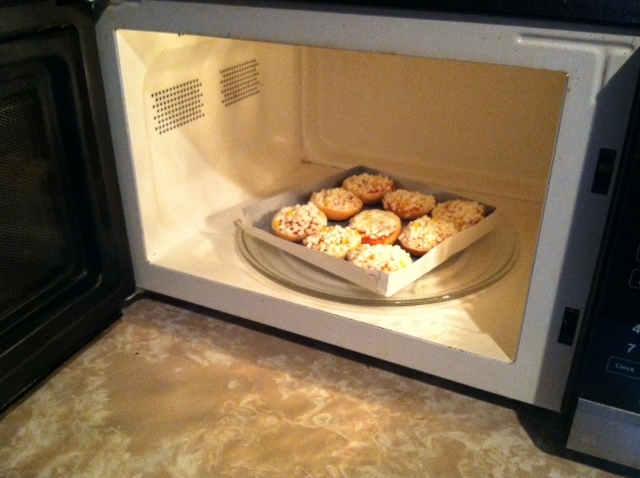 Now a 21 year old college student, I purchased the smallest box, containing 9 pizza bagels. You save money when buying in bulk, but I have no self-control when it comes to pizza bagels. If I do buy the 40 count box my twin sister Jen and I devour them within two days. My waist line can’t afford to pig out every day. 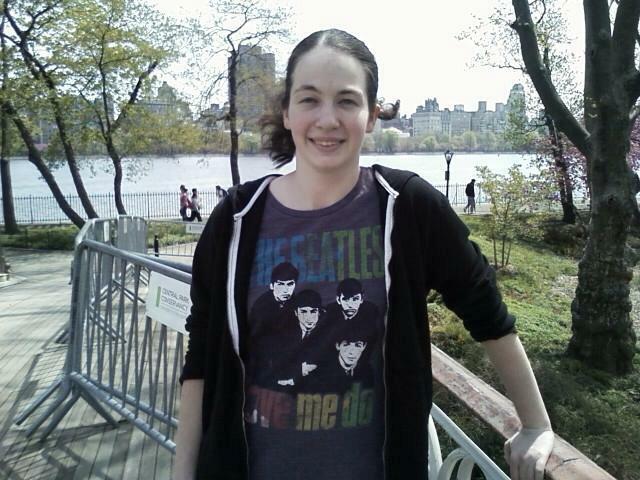 The pre-cooked look hasn’t changed in at least ten years. It’s an appetizing display, with food that doesn’t look like it was made by a robot. 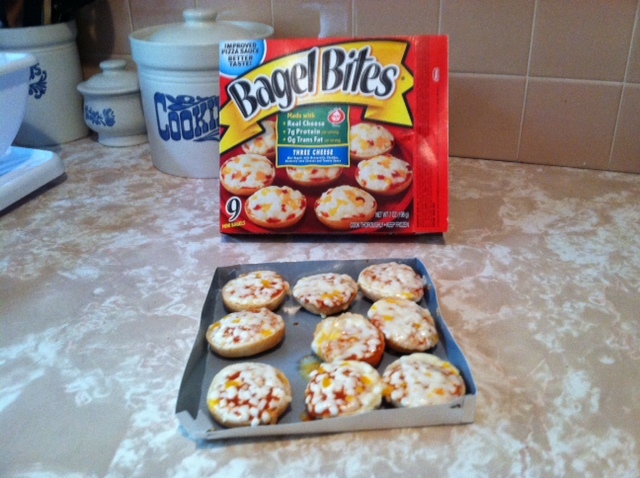 The semi home cooked appearance entices the consumer to place the pizza bagels, contained by a crisping tray, into the microwave. Bagel Bites and crisping tray, inside a microwave. Photo by Katelyn Avery. As someone who has a bit of patience problem with food, Bagel Bites are a perfect fit. After less than 4 minutes the beep noise made it to my ear. My taste buds were ready. The cheese didn’t explode everywhere, the opposite of my experience with many other frozen pizza treats. It also looks real. The Bagel Bites official website explains this is because real cheese is used in their products. Specifically mozzarella, cheddar and monterey Jack. The bagels were also not saturated and floppy after being microwaved. Some pizza crusts just fall apart in the microwave. The bagel would have been crisper if cooked in the oven, but the microwave does suffice. Cooked Bagel Bites. Photo by Katelyn Avery. The official Bagel Bites website also claims that they make their own homemade sauce. I’ll believe them. The sauce tasted well made, and delicious. The one problem I have with Bagel Bites is their addictive nature. I imagine it can’t only be me. As the old commercial said “Pizza in the morning, pizza in the evening, pizza at suppertime.” The tune rings true for me. 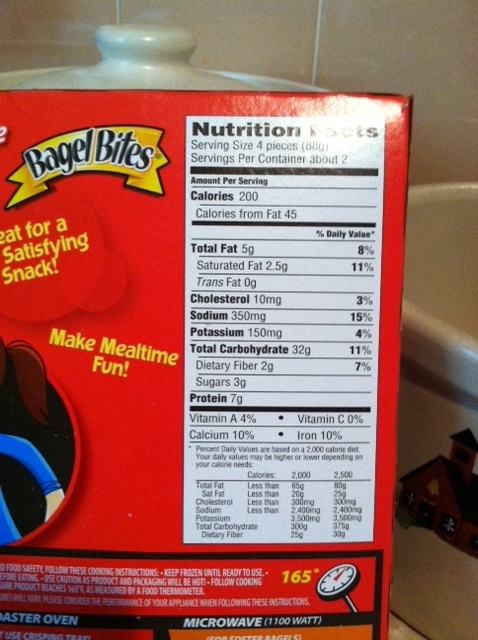 The problem is each 9 count box consists of two servings. That means 4 pizza bagels equals 200 calories. I of course ate all 9 pizza bagels on the tray. A little more than 400 calories for me. My only comfort is that the nutrition facts stated that only 45 out of each 200 calorie serving were from fat. Bagel Bites nutrition facts. Photo by Katelyn Avery. The taste and quality hold up for this adult fan, and I truly believe you can have pizza anytime. Bagel Bites just shouldn’t be the main meal. Because of the addictive quality of these pizza bagels I recommend serving a healthier meal as the main dish, and splitting 9 pizza bagels among each family member. That’s 2 pizza bagels each for a family of four, with one left over for an extra hungry person. However, I recommend swapping the 9 count box, for the 40 count box. You’ll save money buying in bulk, but you’ve been warned, Bagel Bites are also easily consumed in bulk. To read more work by Katelyn Avery, please visit her blog.